The way we operate is a very efficient system. Our secretary Julie communicates with customers on a daily basis and handles all the scheduling. John manages all the construction and painting crews and Tim is in charge of all estimating and customer service. As for our crews, all team members ONLY work on their particular areas of expertise. We have one crew that builds our new construction decks, one crew that only does deck repairs, one crew that only does deck and fence finishing, one crew that does siding, trim and fence repair and a dedicated painting crew. With this dynamic formula, it creates a seamless work and scheduling system. It also ensures all customers are getting qualified contractors that specialize in their exact project requirements. Looking for a new Deck or maybe an expansion of your existing deck? 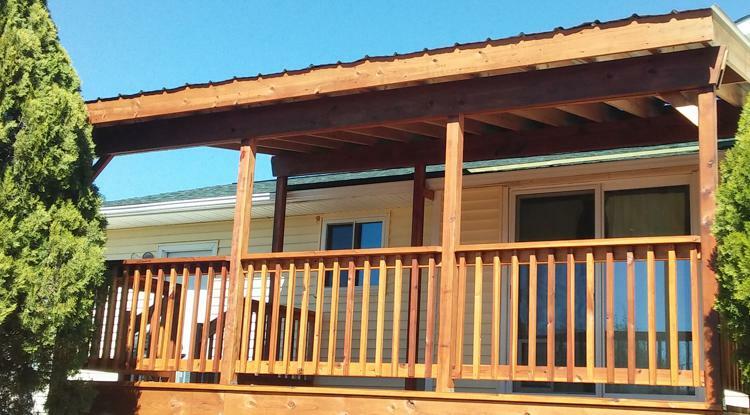 Maybe your deck is not able to be repaired or you just want to build a new beautiful addition to your home? 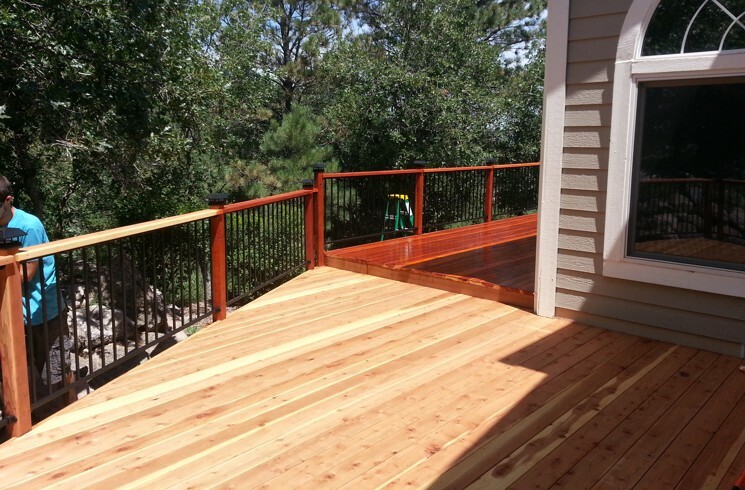 We can construct your deck using all types of materials from redwood, hardwoods to full composite. Let us enhance your exterior space from simply “the backyard” to an “oasis for outdoor living.” We offer the very best prices in town and guarantee the finest workmanship from all of our skilled carpenters. One of our specialties is complete deck repair. We understand not every homeowner has thousands of dollars to replace their deck or may be selling their home. We are experts in replacing stair stringers, structural supports, joists and repairing loose hand rails. Whatever your deck needs to get it "safe and sound" we can handle. 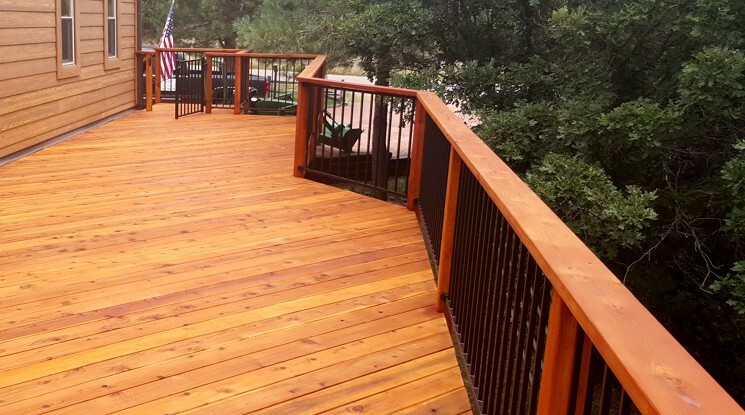 We can also turn old decks into beautiful custom looking decks by refinishing the floors, doing any structural repairs and installing custom hand rails, saving customers thousands of dollars on having to build a new deck. This is a specialty of ours for over 25 years. From pressure washing to sanding, we can make any deck look like "new" again. We utilize all biodegradable cleaners and use the highest quality stains on the market. We offer a complete maintenance program that can save customers up to 40% on re-coating every several years. 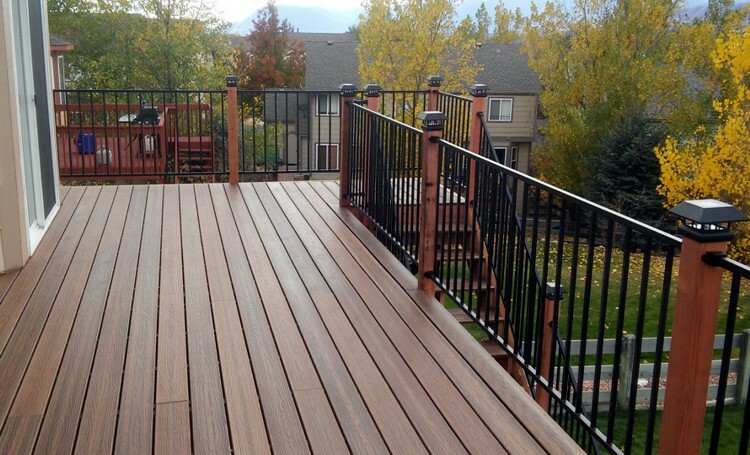 We educate customers on how to maintain a beautiful deck "every" year in between coatings. Everyday, I sit by the window and look out on my deck and think how beautiful it is. With every color from the autumn leaves against the red wood, to today, with the winter colors in the background, I love it. Thank you for both the structural work (that needed to be done) and picking the perfect color to stain the rails. We are so happy! To add classic garden architecture and define an outdoor space, a pergola nails it. For homes or commercial spaces, pergolas deliver both form and function. Whether attached to a building or as a stand-alone structure, a pergola can provide privacy, shade, a ceiling of sorts to an outdoor room, a focal point and a support for vines. Deck covers with a full roof offer an outdoor space that can be used all year round. 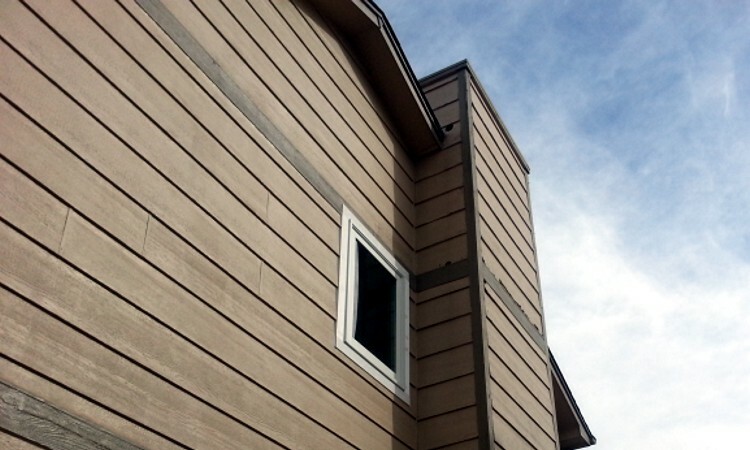 Siding and Trim takes on tremendous weathering here in Colorado. Since wear and damage detract from the beauty of your home and can lead to additional damage, making repairs to exterior trim is an important task that helps preserve your home’s beauty. We can repair or replace any types of siding or trim suffering from water damage, hail damage, woodpeckers or a leaking gutter. We will repair and match the existing finish to look like it was never there! Painting is a very big investment for homeowners and should last for many years. Many we homes we paint have been painted by a previous painting contractors within the last 5-7 years. We take extensive time to wash, sand, scrape and spot prime every inch needed on a home. We understand that preparation is the most important part of any paint job. 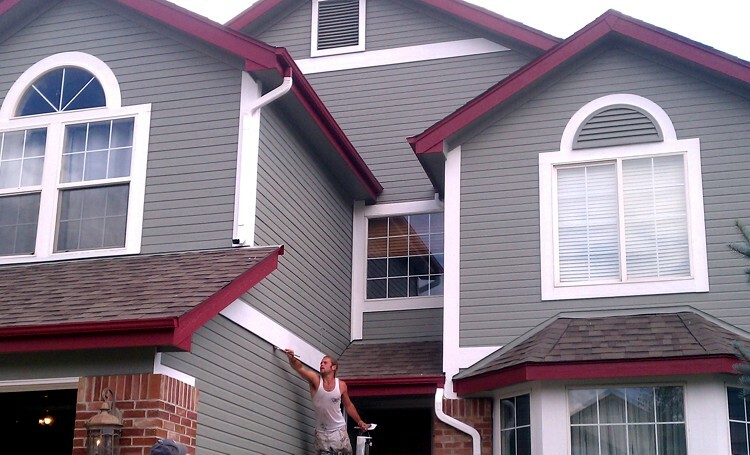 We use the highest quality paints that are rated #1 in Colorado for fading and duration. We offer a full 5 year warranty on all labor and material. These are the most reliable, hard working guys I've ever seen! They fixed my fence, and back yard deck right away. The quality was incredible. I was expecting a big bill because of the short notice...but again surprise. Almost half of the other estimates. I would highly recommend them for all of your deck repairs or washing, as well as other services around the house! I've used O'Leary & Sons twice. Once to repair siding and then to paint the exterior of the house. Both jobs were done to perfection. The prep and finished product of the painting were outstanding.